There is no centralized way of checking iPad 2 stock online, the only way to consistently verify stock is to call your local Apple Stores and resellers. Yes, we update our iPad 2 availability section, but the demand is so high right now that stores sell out quickly after they get stock. I’m convinced that Apple Stores are the most reliable place to get an iPad 2 right now, their stock seems to be replenished in greater numbers than resellers. The main downside to is that everyone else assumes Apple Stores are the best place to get one too, so not long after they get stock they sell out. The key is to move early and quick if you want one from Apple retail. Multiple Best Buy stores told me that anyone can put down a $100 deposit and reserve an iPad 2 from the next shipment. Unfortunately, none of the sales associates were able to give me a date of their next shipment, so you may be waiting 1 day or 2 weeks. Finally, a quick note on Target and Walmart. You’ll want to transfer to their electronics departments to get the most accurate information. The initial operator told me they were “pretty sure” they had iPad 2 in stock but the electronics department confirmed they were sold out of iPad 2 and only had the first iPad, so be sure to talk to the right department. I check the Target ipad tracking website and saw that the only ipad 2 in a 100 mile range was at the walmart 5 miles from my small town. It was a 64gb white wi-fi… i wanted black but whatever. I went in at 8am open, waited 20 mins for the electronics guy to get there and asked about it… he went to the back, got it and sold it to me. It pays to ask… do NOT call and ask the person that answers… plus check the websites as stock is always updated!! I LOVE MY IPAD! can you pls post link for this Target ipad tracking website? i can’t find it anywhere! thanks! I think it might be interesting to publish the really disturbing news: I reserved my iPad2 a week ago in Best Buy in East Lansing, MI and gave a deposit $100 – and I called today to ask did something arrive and they tell me after also calling a few times before, that Pad 2 will not be delivered in BEST BUY until after 4 – 6 weeks !!!!!! Shame on them all – apple and best buy which should change name in worst buy! That’s unfortunate , best buy called me yesterday, telling me they received my iPad 2 then again I was 10th on the reservation list. The guy was telling me they really DO NOT KNOW WHEN THE NEW SHIPMENT COMES, the reason for this is, fedex is shipping the iPads, they don’t tell the store when theyvwill be recived, literally in the morning they will open the shipment truck and find out! Hi, I reserved A 64 wi-fi +3G AT&T after standing in line for hours on launch day at Best Buy. I still have not received my Ipad and they tell me they have no idea when they will get any in stock. Very poor customer service on Apple’s part. I am almost ready to give up and buy a different tablet. One more week and I am done. If I stood in line 1 hr before my nearest apple store (IL Deer Park) opens this morning (19th Mar), what are my chances? No luck today either. only 15 came in today and they’re all gone. Apparently, people were queueing from around 1am outside the store. That’s just madness and utter neglegance on apple’s part. Got in line at 4am. I was #2. The store manager showed up at 6am. They had 7 – 1 blk and rest white. I got mine. yahoooooooooooo!!! The wait is over, Jeeeez!! did they open the store at 6am (when the manager showed up) or you still had to wait till 10 am? It’s easy enough to get an iPad 2 in the Apple Store in Annapolis. They will tell you by phone the day before if a shipment is coming in. If they are getting a shipment they will open the store an hour early, at 9:00. Arrive at the mall entrance before 3:00 a.m. The mall doors open at 6:30. 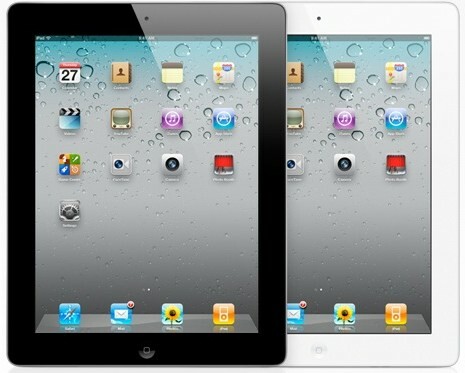 You will be at or near the front of the line and will be almost guaranteed to get the iPad of your choice. Bring a lightweight folding chair. Me? No way am I going to do that. Ordered mine on line for mid-April delivery. Will go about my business as usual until it arrives! Apple gets them in almost every day and they sell out quick, just get there before 10am and you will probably get one though.